This is a soap free shower gel yet lathers up beautifully, it doesn't strip the skin of natural moisture yet cleanses thoroughly and with ease - just as you'd expect a shower gel to do! It smells beautiful, almost floral but with the typical Argan Oil fragrance that some will recognize. What I like about this shower gel is how moisturised it leaves my skin feeling, it is almost like showering with an oil but with the ease of a gel. I highly recommend checking this out if you find shower gels to typically be a little too drying for your skin's needs. I enjoy what oil can do for my hair but loathe applying it, this solid oil has been created for the body and hair but personally have been reaching for it to smooth out my dry ends. I like that I have control over just how much oil I use, without it dripping all over my clothes or back. As it isn't as liquid like as your typical oil I find it is quicker to absorb into my skin and therefore gets used a lot more. Although I mostly use this for my hair, I also enjoy rubbing a little into my feet, popping on socks and going to bed. Overnight it softens my dry heels from the abuse of summer sandals! If you suffer from dried lips (not chapped lips as this is not medicated) this is the lip product for you. 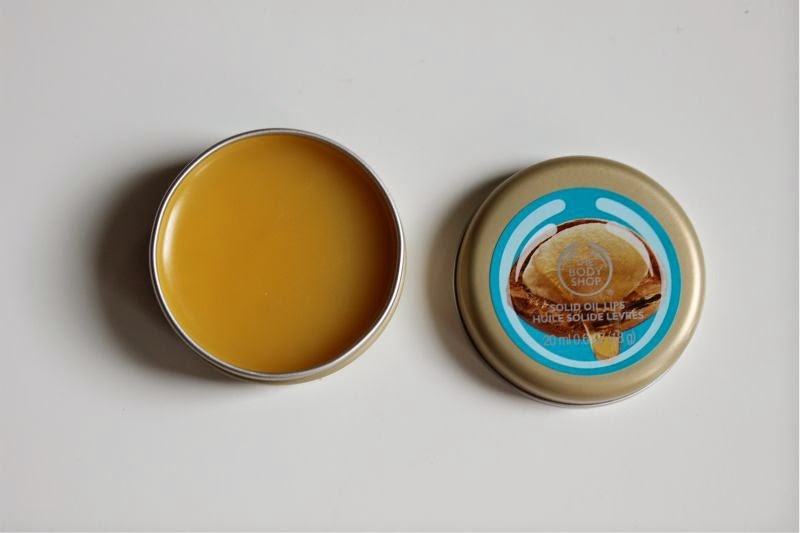 The non-greasy and mess free solid oil is very similar in texture to your typical lip balm and yet nourishes on a deeper level. It makes light work of dried out lips, feels rather wonderful on the skin and a little goes a long, long way. I kind you not one tin will easily last you a full year even if you use it several times a day. 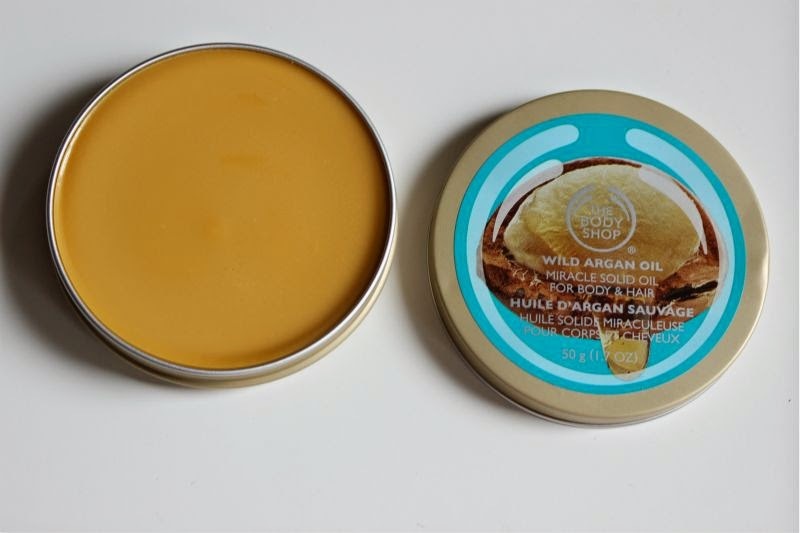 I have also tried out The Body Shop Wild Argan Oil Body Lotion and have to be honest I wasn't blown away. I do feel it is only fair to say that I'm not a massive fan of body lotion in general to begin with, the fact that this lotion seemed to sit on top of my skin rather than absorb fully didn't really sway my opinion. Oh these sound like amazing products!!! 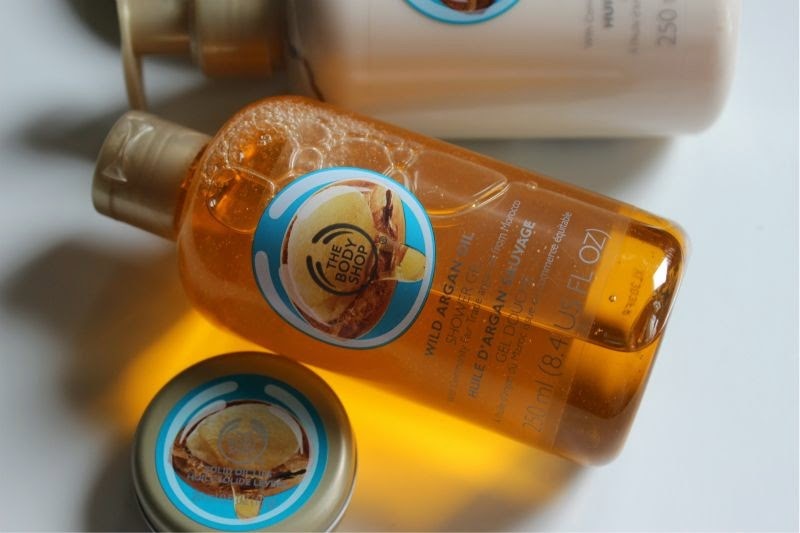 And I love body shop! I really want to try the lib scrub! He body lotion is my favourite in the range! Everything sounds lovely, The Body Shop are brilliant! I love the body shop. All of their products are amazing and I've never found something that i didn't like. I'm definetly going to try some of the products you mentioned, probably the lip balm (seems to be great). These products sound amazing! I sometimes find the body shop shower gels a bit drying, but that one sounds like a dream. It's funny how many brands are copying Moroccan Oil when they make products with argan oil in it. 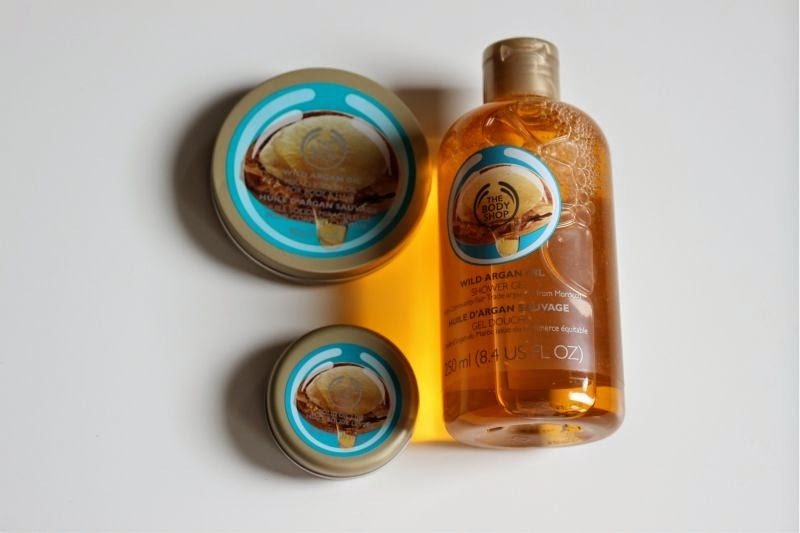 Pure argan oil doesn't smell floral or sweet, it's kind of nutty and herbal. But still I'm looking forward to trying out this range! I've been really wanting to try this new line but I haven't tried it yet! I bet it smells amazing.